A good businessman is someone who does not leave any stone unturned when it comes to the marketing or advertising of his company or the video production services provided by it. You know it is a very important decision especially if you are a marketing director or a producer. Like many other decisions this also needs a lot of research, time and dedication before you can come to any conclusions. You could always start in the quintessential method of googling it. But this sometimes might be a mindlessly tiring effort with late and ineffective results. 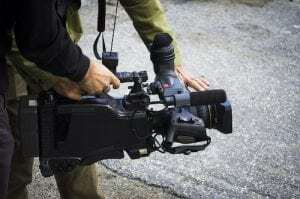 Here are a few tips that you could follow to search for good video production companies. This is one of the most obvious and most important aspects of choosing you video or film Production Company. Check their previous and demo videos. This might give a good understanding about their work and experience in the field. A good video production company not only creates good content, but the content is always new and has a fresh feeling to it. Look out for minute details like how the people are captured or how a surrounding is captured. If the people look colourless or drab, then the video production company did not do a good job at making the people look natural. The same can be applied for surroundings or nature. See our work as an example of the high quality video production we produce. This is another essential part of your research. Check out their previous works and try to list a few of their previous clients. While interviewing them ask if they are ready to share the information about their previous clients. A video production company with good work record would not hesitate to share this information. Video production or film production is a long term investment. See how much are they interested in understanding your needs and how do they comply with it. See whether they are jumping to talk about the pricing or do they have the patience and interest to understand the details of your project before going ahead. Price is a very important aspect. What’s more important is whether you are receiving the right quality of video for your money. A very high quality video production will definitely cost more. But it being a long term investment will ensure that your videos rise above the others. A good company never fails to price their services according to the quality of their work. A lot companies have great reviews and inputs about their company in the beginning. But sometimes project can wear on the relationship and tensions arise. A good video production company will always put clients first and work hard to understand thier ongoing needs and overall satisfaction. Take time to find out if any of their clients were willing to work with them again. This will help you to understand the working style and productivity of the video production company better. When you work with people who are also keen on maintaining a healthy professional relationship you, they will take time to understand you and your video objectives thereby creating content that exceeds your expectations.